Some meets have taken place or will tonight. But most are going to fall between Thursday and Saturday. Milwaukee City - Led by Corey Thornton (16:52) Milwaukee King’s scored perfect with top eight finishes. Northern Lakes - Tannor Moris (17:34) leads Crandon who put 7 in the top twelve for 20pts. I think Big Eights are going to be almost a mini-state meet. Throw out some predictions! I have to go with the Regents for various reasons. Consistency at this big meet over the years, balance, and depth. I will go with Lafollette for second place, Middleton for third place( not having seen Middleton run healthy for a few weeks I put them in some trouble), Sun Prairie for forth, Madison Memorial for fifth, (Verona, Madison East, and Janesville Craig will battle for 6th with Craig having some advantage with their #1), Janesville Parker 9th, Beloit 10th. Will try and get some photos of this classic conference race. It’s going to be 52, sunny and with a slight chill. Calling it now we will see some ridiculous time from Wagner at Colburn Park. 15:0xs or better. Will be interesting if Matt Meinke is running or not. If he does, Countryside is one of the fastest courses in the state and probably a @westharrier 1.0 course rating. Meinke could be in the 15:20s if he runs. PT timing must have the C team out at Hartford tonight. Ya I’m not sure why results still aren’t up! Race has been done for hours! Oconomowoc won but not by much. WBW gave them quite the scare, by one coaches calculations it was dead even with 200 left. Ocon just finished better and won by 5 points. For individuals, Jacques edged Guttormson for the win by maybe 5 seconds. Salinas was right behind Guttormson followed by Fassbender. Good team battle! On the girls side Wisco took the team title, I think Ocon took second. PT Sliming strikes again…I don’t think they understand the concept of continuous improvement. There must be a MAD rush for the JV results because they keep uploading only that specific set. West Bend West restored my faith a little bit tonight. Jaden Salinas came up huge and gave WBW a very dangerous 1-2 combo but #4-7 are just too far back to hang with most of these other ranked D1 teams. They can get away with it at the WLT conference meet but not anywhere that has 40-50 kids between 16:40 and 17:20. I think Wisconsin Lutheran’s finish at the WLT reiterates my current assumption that the Vikings are not a #1 team and they may not even be a #5 team. Omro looked really good at their conference meet. The only place Green Bay Preble runs well is at Colburn Park. I am still not sold on them. Interested in any course changes to Kaukauna’s Countryside GC. Matt Meinke pulled it off but the times seem more modest than they do fast – or so I’d like to think. There’s good Neenah and bad Neenah. Good Neenah showed up today and held off a rising Kimberly. Rylee Miller is emerging as a podium darkhorse in D2. This is a kid that deserves it and he scalped Pahnke tonight who has been having a really good season thus far. Algoma’s Jacob Wahlers went 16:20 tonight but – no offense – those Packerland courses are just garbage. We know he’s good (4:24/9:34 to his name) but the only saving grace to his finish tonight is that he won by 50s. Thomas Basala returned to form tonight and beat Rzentowski (9:44 freshman). This was a little unexpected but not surprising. Basala is a good runner and could have been a great runner at SPASH. I think Tannor set a new course record at Colburn. Beating Elliot Krause’s record. Note I said “think”. Can anyone confirm?? No major course changes at contryside (fva). The course did get sloppy by the time the varsity races were run. You could take the flags down and follow a brown path around the course. The golf course itself does not drain that well and with the rain in the area Wednesday, was still pretty saturated. @Titan90 tannor must be salivating. he hasn’t been pushed all season. not even a footnote about him in any national polls. the second fastest 3200 junior in Wisconsin history garnering zer0 respect. He has my respect and I am guessing yours too. Those national polls always screw us. Finn said the other day he thought milesplit was screwing him over because he said no to their public training log. Not the case. We may complain about fast courses but as a whole our flavor of xc is plainly more honest than in other places. Add to the fact these guys carry heavy biases. The same way their pretty charts won’t account for Brentwood (TN) every year because of their slower state meet course. Always happens. We have three national top 12 candidates regardless of what the social pundits say. I think if we compare to history we have an Olin, a Scott Jenkins and Tannor is his own category based on track times. Then whose to say someone like Drew Bosley, Nate Farrell or Clark Otte couldnt pick off guys in the top 30. Also we don’t know what the immediate future holds for Vannucchi. The year Ryan Kromer went 9th at NXN against “everyone” and then does it again two weeks later for 8th at Footlocker against “everyone else” and he only managed a #18 ranking. Did not make any sense. I tell you what – you run 15:20-15:30 on the right day and it’s going to matter. Footlocker Midwest, Heartland Regional and both national meets. You will beat people with that consistency. 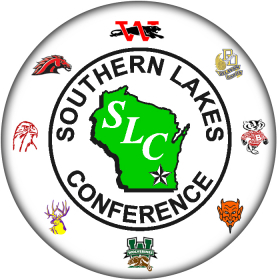 As far as I know the Southern Lakes Conference was the only conference meet tonight. Someone correct me if I am wrong. The other 24 should all be tomorrow. Big 8 - Gessner blows away everyone in Mile 1, 15:05ish for victory. Gus, Farrell 2nd and 3rd. 5 runners break 16 at tough verona track. Peyton Sippy wins girls race in 18:46, running neck and neck with Pringle until last 800!